Shoulder Instability Treatment - Jeffrey H. Berg, M.D. Shoulder instability treatment is based on the type of instability, which structures are injured, the age of the injured person, their activity level and their goals. There are three structures that stabilize the shoulder joint: the bones (humerus and glenoid), the surrounding muscles and the labrum and ligament complex. A deficiency in any of these structures can lead to instability. The shoulder instability treatment needs to be directed toward correcting the specific deficit(s). 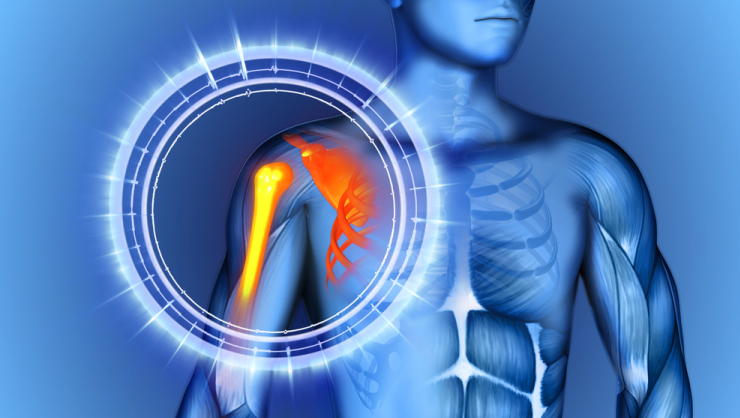 As you may recall from an earlier post, there are three basic types of shoulder instability: Traumatic, Repetitive Microinstability and Multidirectional Instability. They have different treatment recommendations. For each, there are nonoperative and operative options. However, the likely success with these treatments differs depending on the type of instability. To make it even more complicated, the recommendations will be different depending on the frequency and intensity of the symptoms, response to prior treatments and specific patient issues. Traumatic instability (subluxation or dislocation) occurs when the shoulder is forced into a position that it is not physically able to accommodate. When this happens, ligaments running from the ball to the socket tear either in their mid substance or at one of their attachments. Think of breaking off a turkey leg at Thanksgiving – Sorry to ruin your holiday :-) ). On occasion, bone(s) of the ball and/or socket can break. These changes are irreversible. Therefore one or two of the stabilizing components of the shoulder are permanently altered. As a result, for those who are likely to participate in activities that will put their shoulders at risk (ie. young and active, particularly contact athletes), the likelihood of nonoperative treatment being effective is poor. These people will almost always require surgery if they wish to resume such activities. As these patients age and as their activities become more sedentary, the risk of recurrent instability decreases. Consequently, nonoperative treatment (physical therapy with an emphasis on strengthening of the muscles around the shoulder) is more likely to be successful. Surgery is always available, should therapy not work. If surgery is performed, it is geared to fixing those structures that were injured. Among the structures are the Labrum, Ligaments (Capsule) and/or deficient bones of the ball and/or socket. The details of these procedures will be discussed in an upcoming post. In the earlier phases of this process, the ligaments in the front of the shoulder stretch slightly. This injury is often reversible. The initial treatment is rest and physical therapy. The physical therapy should address any capsular contracture (shortening) of the tissues in the back of the shoulder. It should also focus on retraining the muscles of the shoulder and shoulder blade (scapula) to work in a coordinated fashion. Additionally, oral anti-inflammatories are often helpful to treat the subacromial bursitis which is commonly present. As the process progresses, attritional labral tears (particularly at the top of the cup (SLAP tears)) can develop. Additionally, partial rotator cuff tears on the joint side of the rotator cuff can occur as well. In these later stages, nonoperative treatment is less likely to be effective. At this stage, surgery may be required to address the injured tissues. Multidirectional instability (MDI) occurs in people predisposed to instability due to preexisting loose joints. We all know people who are “double jointed”. These are the people most at risk for this type of instability. The symptoms of MDI often seem to “come out of the blue”. Occurring on occasion following an injury, but often occurring without injury during activities that previously were performed without symptoms. Since no “new” injury has occurred, nothing usually needs to be fixed. These people often can be treated with physical therapy directed at improving muscle stabilizing strength and coordination. Rest and oral anti-inflammatories are often helpful as well. Unfortunately, not all people respond to this conservative treatment. Consequently, surgery is occasionally required to reduce the capsular (ligament) looseness. As you can see, just determining the type of instability that you have can be difficult. Determining the appropriate shoulder instability treatment can even be more tricky. Therefore if you have an unstable shoulder, you will want to seek out a Sports Medicine Shoulder specialist so that they can individualize a plan for you.